When you plan a holiday to Mozambique, make sure you explore the travel deals to Azura Benguerra, land of milk and honey, home of whales and wonderful experiences in the great outdoors. Honeymoon couples are dazzled by the unbelievable 50% discount on the bride’s accommodation while couples can go for the free night special to reconnect away from their family schedules. Mozambique travel deals to Azura Benguerra on the Stay Pay Special Package include all transfers, meals, drinks, special activities and more. The Stay for 5, Pay for a 4-night special deal is fully inclusive of a personal butler too and a short back massage! You won’t experience anything better anywhere else because this is an amazing lodge. And Mozambique Travel gets you there stress-free, with our great rates and service. 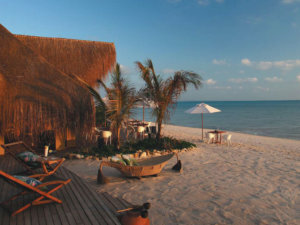 Did you know that Azura Benguerra is one of the top Mozambique travel destinations? South African residents get special treatment with a greatly reduced rate on travels deals for 5 nights or more. These fantastic savings attract travellers from South Africa all year round and include return helicopter transfers, all meals, selected drinks, sunset cocktail of the day, your own Mozambican host, use of non-motorised water sports facilities and children’s activities. 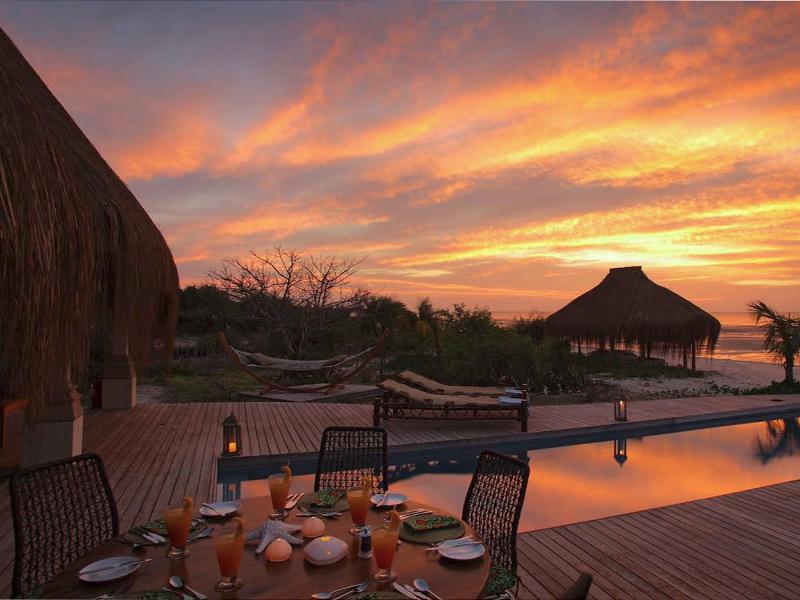 Azura Benguerra is a luxury Mozambique eco-boutique lodge set into lush indigenous vegetation. Your travel deal includes accommodation in opulent villas with private infinity pools, outdoor lounge areas, king size beds, his and hers showers, mini bars, air conditioning and the butler service. Don’t hesitate to book this package today. Other travellers will be attracted to the Luxury for Less travel deal to Azura Benguerra which promises 2 people the price for one person if you stay for 7 nights or more over a specified period. Be amazed by the sheer elegance, space and quality décor that make Azura Benguerra Island so special. Find luxurious suites equipped with stunning five-star amenities. Air-conditioning, ceiling fans and king size beds fitted with Egyptian cotton ensure that guests are ultra-comfortable during their stay. And now, there are two brand new Royal Beach Villas, the ultimate in lavishness and size, raising the bar on accommodation in the Bazaruto Archipelago. Travel deals to Azura Benguerra are full of perks and surprises. 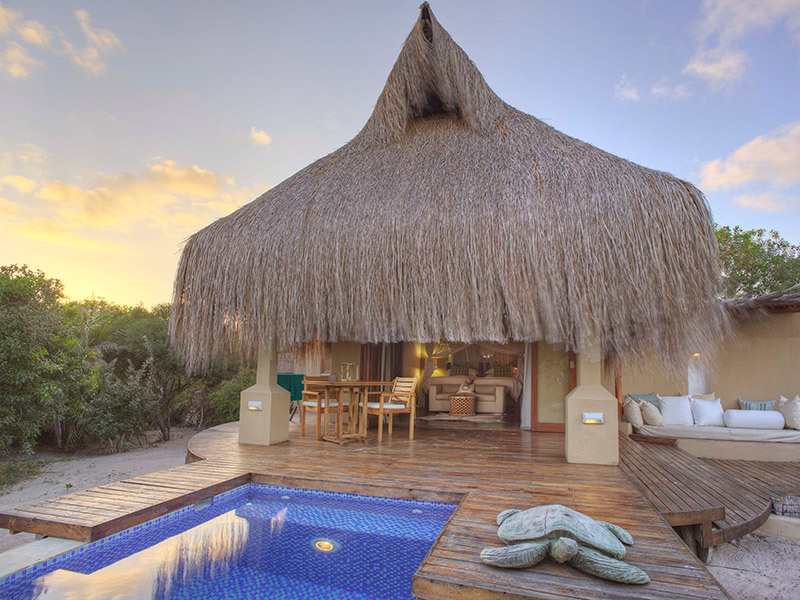 Contact one of our expert agents to tailor make your Mozambique holiday in a beach villa fit for royalty. This tropical African destination is fast becoming a sailor’s dream because you can island hop, stopping to sleep when and where you like. 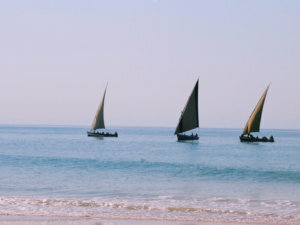 Yes, sailing on a traditional dhow is fun! And we offer scheduled sail safaris and packages or you can tailor make your own according to your honeymoon, family reunion or fun friend holiday needs. Come and see the beautiful Bazaruto Archipelago and its several idyllic islands. Sailing on a traditional dhow around Benguerra Island is probably the best thing you will do all year! We also offer extraordinary yacht safaris for travellers like you who may prefer this kind of luxury hotel on the water. Find your choice of world class beaches, luxury accommodation, dive sites, deep sea fishing activities – and of course the ultimate relaxation. We can take you island hopping on board a dhow, kitted out with all your scuba diving and snorkelling gear. Jump on and off your sailboat and swim for hours, maybe with dolphins! Then dock at one of the fancy lodges on the island for a night or two and a meal to satisfy all hunger cravings. We suggest Azura Benguerra – a unique accommodation venue where you are indulged by professional staff and where solitude is the name of the game. It is wise to get anti-malarial medication before travelling to the Bazaruto Archipelago and yellow fever certificates may be required – check with local GPs before travelling! This famous national park covers a huge expanse of ocean including the six islands making up the Bazaruto Archipelago. It was declared in 1971 to protect dugongs and marine turtles and their habitats. This includes the islands’ fauna and flora, coral reefs and marine birds. 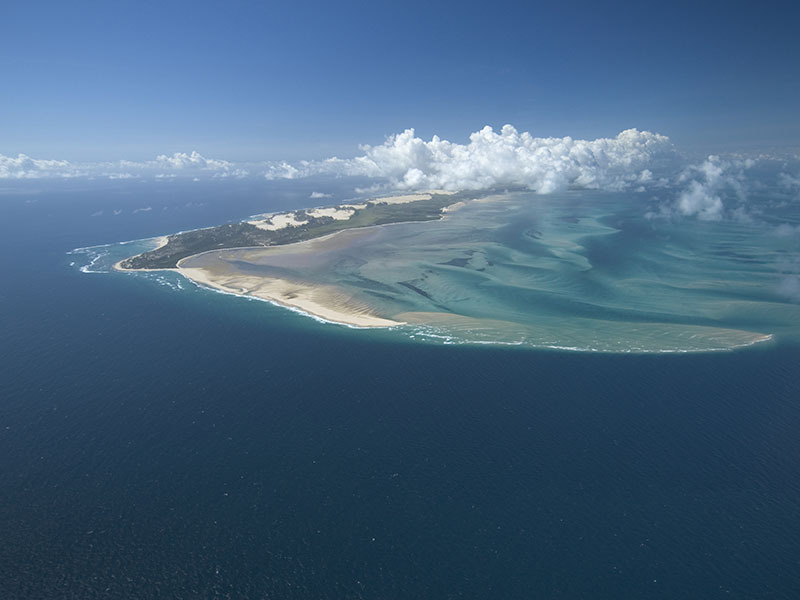 The biggest island is Bazaruto Island and the smallest, Pansy Shell Island. This makes sailing on the traditional dhow even more attractive! When you book your Mozambique holiday package for Benguerra Island, you will find yourself sailing into the sunset on your traditional dhow. Take a castaway beach picnic to a remote part of the island to watch the sunset and be totally alone in nature. Sip good wine and dip into a surprise basket of goodies prepared by your lodge. Ahhhh, not to be missed! Click here now to chat to one of our consultants! Mozambique may be your destination of choice but have you decided yet between the two speciality lodges on Benguerra Island? 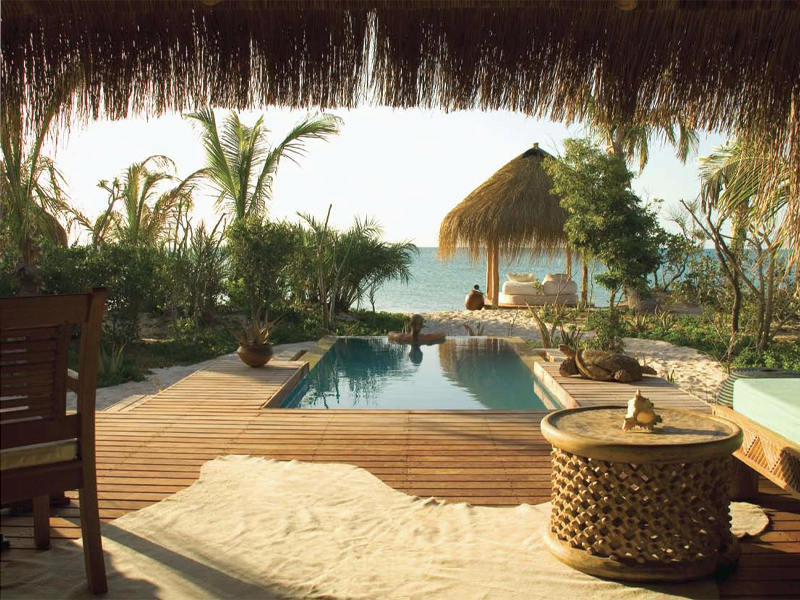 Choose either &Beyond Benguerra Island Lodge for your Mozambique holiday packages in 2019 with Mozambique Travel who can take you there with our great rates. Take the heavenly Azura Benguerra Honeymoon package for example – the bride gets a 50% discount on her accommodation in a beach villa or luxury beach villa for a five or seven-night stay. On top of this, the couple also gets all their meals including main beach dinners, most drinks, sunset cocktail of the day served to your private Sala, various honeymoon special treats, your own Mozambican Butler/Host, free Wi-Fi access in the TV lounge, a 15-minute refresher back and neck massage, an island drive, as well as a sunset dhow cruise! 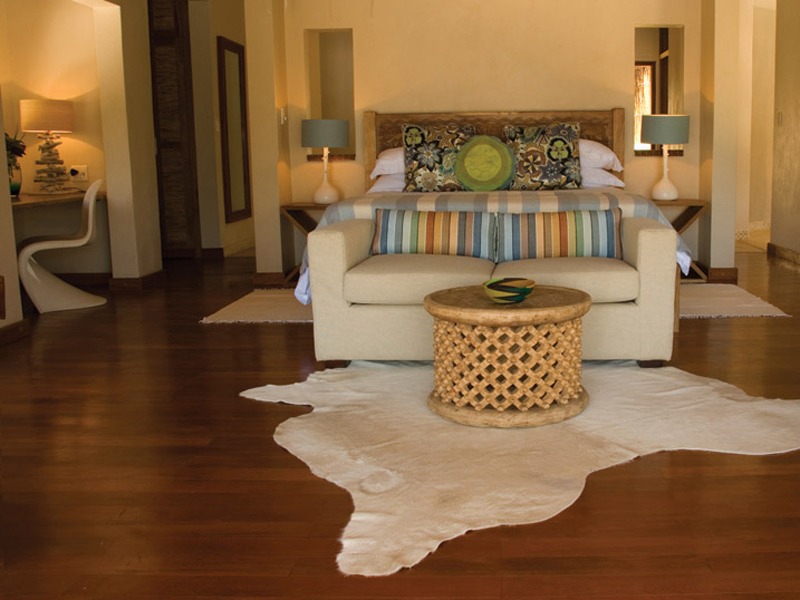 Benguerra packages at Azura Retreats include all transfers, meals, drinks, special activities and more. The Stay for 5, Pay for a 4-night special deal is fully inclusive of a personal butler too and a short back massage! You won’t experience anything better anywhere else because this is an amazing lodge. And Mozambique Travel gets you there stress-free, with our great rates and service. The recently revamped Casa Familia villa at &Beyond Benguerra is a delightful accommodation choice for a family who need their space and privacy. If you stay longer here for less, you save up to 30% on your accommodation package – real value for money! And the lodge honeymoon offer is simply irresistible – the bride saves 50% on her accommodation and the couple gets surprise honeymoon extras. Dive to new depths in the clear waters around the island – activities at Benguerra Lodge are presided over by people who love what they do. If you, as the privileged guest, want to go horse riding, fishing or diving, you know that you are in good hands. Sailors of long ago told stories of mermaids and dugongs, the stuff of legends – it will be very sad if these peaceful creatures do die out. 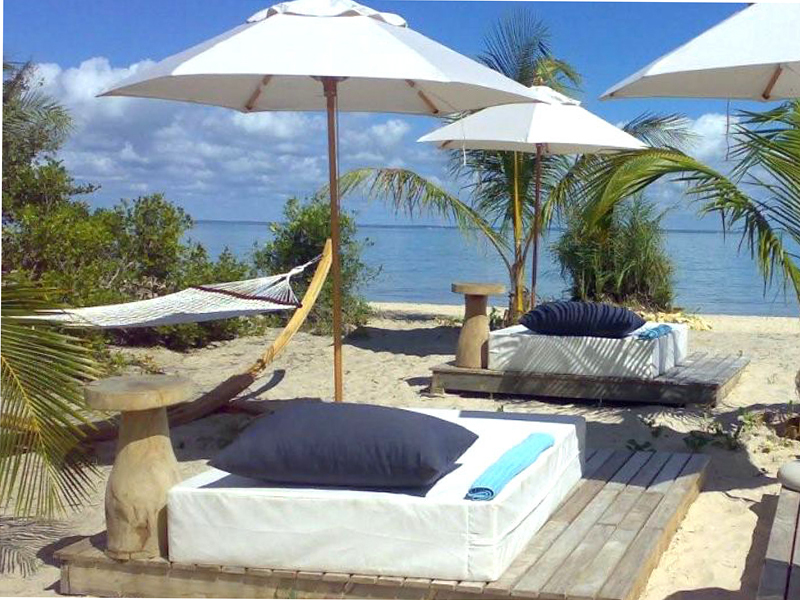 Get that diving kit on and look for them when you come to Benguerra Lodge for your beach holiday in the Mozambique sun. For expert divers, take an excursion out into the Bazaruto Archipelago to explore varied dive sites and for those who want to learn how to dive, there are courses just for you. Come on, take the plunge and choose &Beyond Benguerra Island Lodge and Azura Benguerra Lodge on Benguerra Island for that ideal holiday package. 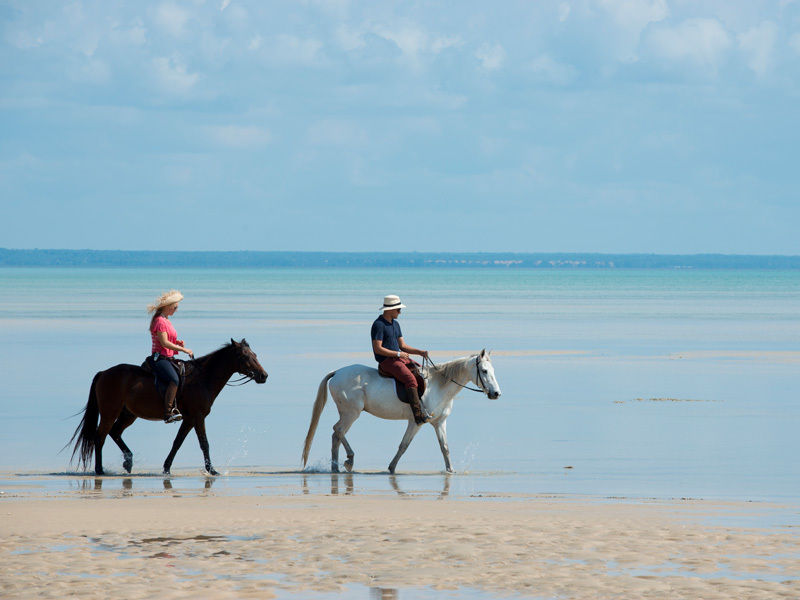 Mozambique Travel gets you there with great rates and money-saving deals. Contact us to tailor make your special holiday and we can organise your luxury accommodation at the click of a button.